Have You Been Trying To Get Pregnant But Can't? • Adrenal Fatigue and others. Chances are you've been through a lot already with your efforts to become pregnant, have a normal pregnancy, or resolve your women's health issues. Your consultation package with Dr. Gina is structured to answer your questions, and get you on the right track with a plan of action. She will: Review your complete medical history as it pertains to your precise health issues, Review your answers to our in-depth health questionnaires, Review your functional blood chemistry analysis and results from other lab work ordered, Provide you with a beginning healthcare plan with lab-based nutritional supplement and dietary protocols, customized Chinese herbal therapy (if applicable), as well as, provide you with a host of nutritional, dietary and educational handouts and resources. After your initial consult, you can elect to have follow-up tele-consults/Video consults 1-2x/month as needed. Ordering lab work is a vital step in determining your body's bio-chemical, metabolic, hormonal and nutritional imbalances. Numbers don't lie. If you haven't undergone functional laboratory testing and haven't had your lab work explained to you from a functional medical perspective, you may be surprised at what shows up. The purpose of analyzing and interpreting your lab work is to know and be guided where to work to bring your body back into balance. The purpose of functional, laboratory based supplementation is to help stabilize your body chemistry, metabolism, hormones, neurotransmitters and immune system, while also improving the communication throughout your body's cellular landscape. A weakened and compromised system requires this type of support in order to help the body break out of vicious and self-destructive cycles, and achieve and maintain optimal wellness. There are some very simple, yet very vital "do's" and "don'ts" when it comes to nutrition for a healthy female and fertile body. Dr. Gina will assess your current dietary lifestyle and prescribe nutritional and dietary protocols that will best support your body's individual needs and requirements. “Let food be thy medicine and medicine be thy food”, Hippocrates. Dr. Gina Mortellaro-Gomez, DAOM, MSOM, B.S., L.Ac, NCCAOM Dipl.OM, FABORM, is a Doctor of Acupuncture and Oriental Medicine (DAOM), is Nationally Board Certified in Oriental Reproductive Medicine (FABORM) and is a leading expert in the field of Functional & Chinese Medical Reproductive Endocrinology and ObGyn. She has dedicated her practice to providing effective relief and support for many of the most common and challenging women's health conditions such as: Unexplained Infertility, PCOS, Recurrent Pregnancy Loss, PMS, Painful Menses, Irregular/Infrequent or Absent Menstrual bleeding, Hashimoto's Thyroiditis and other forms of Hypothyroid, Peri-menopause and Menopause and much more. Dr. Gina has a tremendous success rate with her fertility patients, and many beautiful babies as a result. Many women with fertility issues feel frustrated and hopeless. But no matter what you've been told about your age, your hormones, or your body... if you haven't been able to conceive, just remember... it's NOT your punishment, and you're NOT broken. The human body is an incredible organism, and it's meant to thrive! It's built to repair and heal itself, so no matter what state of health your body is currently in, let's work together to make it a healthy, fertile garden! What Can You Expect From Optimal Female Health? ✓ Maybe Even a Healthy Pregnancy! Dr. Gina’s approach to patient treatment, care and management is ~ “Patient Centric Care". 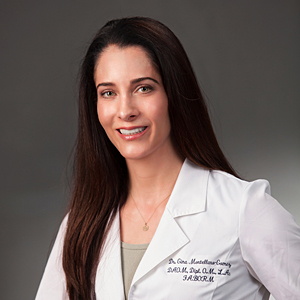 We address each patient in an individualized and customized manner, as Dr. Gina does not subscribe to a “one-size fits all” approach to treatment plans. We utilize the time-proven modality of Chinese Herbal Medicine coupled with Functional Medicine, Metabolic, Nutritional & Dietary support to: optimize fertility potential & reproductive function, support gynecologic and obstetric health and reestablish hormonal balance. We work with only those people who are: Serious about helping themselves, Eager to be pro-active and a “part of their own healing process” and are Dedicated in taking the necessary steps to achieve their health and wellness goals. We do not work with those who have a “quick fix” mentality. You must first qualify to become a patient by completing and answering a few short questions. Stay up to date on the latest Functional Medicine and Chinese Medical news, research studies, articles, recipes, and health tips pertaining to the fields of Reproductive Medicine and Women's Health, as well as upcoming live talks and seminars given by Dr. Gina. Get Free Women's Health Tips!